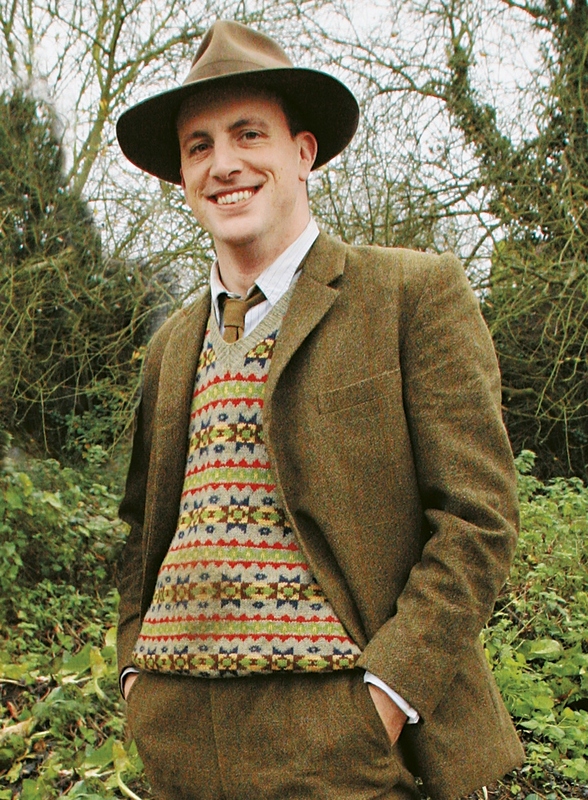 I am beside myself with excitement at being able to announce that I am about to release the Wartime Farm Sleeveless Pullover pattern as worn by Alex Langlands in the BBC series, Wartime Farm. The Women's Land Army Tribute campaign is raising funds to build a memorial to the Women's Land Army to be sited at the National Memorial Arboretum in Staffordshire. The memorial is also to provide a focal point for the 38,000 surviving Land Army girls and to share their stories. The Women's Land Army was first formed during World War I, freeing male workers to join up. During World War II young women were again encouraged to join the Land Army, and by 1943 there were 80,000 land girls working in the fields and farms of the UK. Alongside the WLA were the WTC which were the lesser known, Women's Timber Corps or "Lumber Jills" who had to take over the provision of timber during these years. Women continued to work on the land in lessening numbers until 1950 when the WLA was formally disbanded. Whilst there have been TV shows and films about Land Girls they have received little official recognition. In fact the WLA has only being invited to take part in the Remembrance Day ceremonies in very recent years. We owe an incredible debt to the WLA and all the women who took over "men's work" at these times and showed the world just what women could achieve. This pattern is my own attempt to help raise funds for the WLA Memorial. For each PDF pattern costing £5.00 a donation of £2.50 will be made to the WLA Tribute campaign. It is available as a PDF download only and is available to pre order now and will be released on Wednesday 9th January. The pattern comes in a huge range of sizes from age 3-4 yrs right up to fit a chest size of 54 inches. It is a classed as a unisex pattern and there will be photos in the pattern on both male and female models. It is knitted in the round from the bottom up to the armhole where it is divided and the front and back are knitted separately then joined at the shoulders before picking up the arm and neck bands which are worked rib. Alex's version is shown using Jamieson & Smith 2 ply jumper weight Shetland wool in the colour ways as worn by Alex in the TV show and also interestingly in the 1930s pattern that I tracked down. Here is the image from the original pattern. It is much much shorter than the version worn by Alex, both in the body and in the armhole depth. Interestingly and somewhat bizarrely, the arm and neck bands are knit in long ribbed lengths which are then sewn onto the garment. Unsurprisingly I haven't suggested making them this way. The suggested tension for the 3 ply yarn recommended by the pattern is a very loose 24 sts to 10cm. You can just see on the photo that the fabric looks very open and indeed the motifs are larger than on Alex's garment. My version and Alex's pullover in the show have picked up armholes and neck bands as in a 'regular' pattern! There are some mistakes in the garment worn by Alex, but most notably at the shoulders where the pattern doesn't match up, suggesting that the front was knitted slightly longer than the back as the pattern repeat finishes higher on the front than on the back. It was also knitted in two pieces and sewn together at the side seams which was the usual method in UK patterns around this time. So whilst Alex's own sleeveless pullover may have been a post war knit, I think I can safely vouch that the original pattern from which it is adapted, is from the right period. The ladies version which will be shown in the pattern, is knitted using Excelana 4 ply in a different colour way but I'm not going to spoil it and show any more at this point. If you would like to donate to this very worthy and very under funded campaign please do either pre order the pattern now or call back after January 9th to purchase your pattern download then. If you would like to help support the campaign further you can add this button to your own website or blog by cutting and pasting the code below into your site. There will also be a media pack available for download in a day or two with more information if you can help promote the campaign in an 'official' capacity! I'm also hoping to have kits available in the New Year certainly in Excelana and hopefully in Jamieson and Smith also. Octopus Books and Wartime Farm are both very kindly lending their support to the fundraising pattern and I couldn't have done any of this without the remarkable Charly of landgirl1980 who has worked tirelessly helping me get this campaign underway. Thank you Charly and thank you to all the ladies of the WLA. We are indebted to you in so many ways. I really liked the pullover while watching wartime. It's so amazing you created this pattern in so many sizes and for both male and female! This is truly amazing and I am so chuffed to be a part of it. You have worked so tirelessly on this. You rock! So very humbled to be thanked! Oh, I adore it!! I promised Mel a fair isle vest (as we call them over here) sometime before we make our pilgrimage to Shetland which I hope will be next year. And now I think I may know just which one that will be! Don't know if you and I have ever talked about my WLA obsession, but this post has absolutely made my day and I shall immediately pre-order the pattern from you. 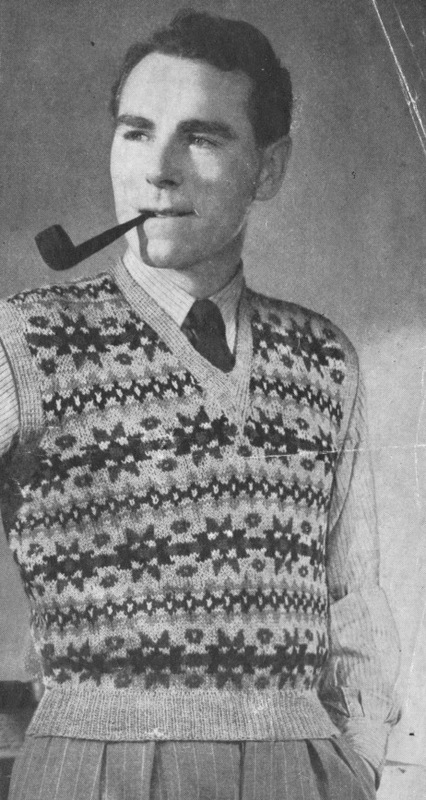 I should like very much to knit myself a nice fairisle vest in the same palette as Alex's version from wartime farm! Huzzah for the WLA, for you, and for Wartime Farm! 'Back to the Land, we must all lend a hand...' etc. now, where is my spade? So pleased to be able to purchase this pattern and help the WLA in a little way. 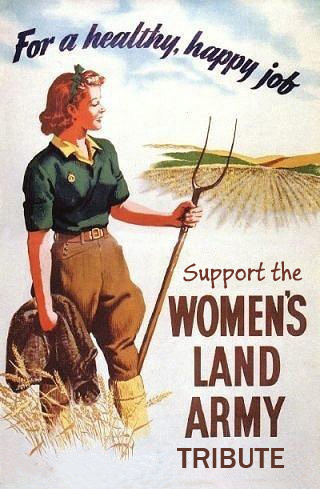 My daughter is working on an extended essay about the Women's Land Army as part of her sixth form history studies. Recently, we were lucky enough to be able to a spend an afternoon with a local Land Army girl talking about her wartime experiences which was both fascinating and inspiring. Thanks for making this pattern available, Susan. I'm so looking forward to this - you've done a fabulous job. Love your version of the vest: so elegant in all ways! I look forward to the pattern release. Will you be offering it as a pattern on Ravelry? What a great find, for a great cause!